The lunar landscapes of El Hierro, the smallest of the seven Canary Islands, are dotted with hundreds of extinct volcanoes and fireproof trees. Horizontal rain feeds the high-altitude pine forests, and a fish that comes shooting out of the sea ready-cooked — if a certain waiter is to be believed — feeds the locals and visitors alike. While the waiter may have been exaggerating, there’s no overstating the natural beauty of the Canaries’ ‘Magnificent Seventh’. 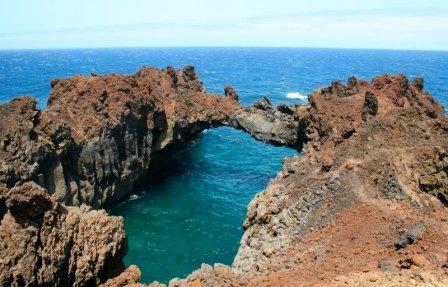 El Hierro is half the place it used to be, but that’s no criticism. Most of the other half was dislodged by an earthquake 50,000 years ago and slid beneath the waves with one El of a splash. 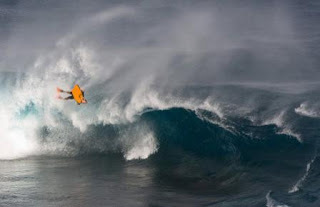 The resulting tsunami, which scientists estimate was 100 metres high, swept across the Atlantic and swamped the eastern seaboards of North and South America. If you saw the 1998 disaster movie, Deep Impact, starring Robert Duvall, Morgan Freeman, Tea Leoni and Elijah Wood, it was that size of a tsunami. When I was in hot and sunny El Hierro recently, 80 tremors were recorded in one night — this is a lot more than the normal daily dose — though I suspect my snoring contributed to the unusually high count on the seismographs. Exhausted after a long day of trekking through forests and up and down extinct volcanoes, I neither heard nor felt a thing. I’d been so near to extinction myself that I collapsed face-down on my bed, still covered from head to toe in volcanic dust. I wasn’t there when the maid came by the next day, so I didn’t hear her screams when she clapped eyes on what she must have thought was the new Turin Shroud. If you’re fit, scaling El Hierro’s volcanoes is easy-peasy. If you’re not, all that physical stuff is far from being a lava minute, but it doesn’t half work up an appetite. 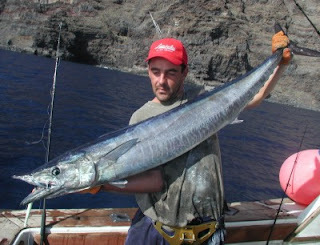 Being an island, seafood rules, and it really is of the freshest and finest quality, and cheap too. As well as the old favourites of merluza (hake) and grilled sardines, squid and octopus, there’s peto, which you won’t find in the Mediterranean. It’s a long, sleek fish — like a pointy-nosed torpedo with fins — and a tough-looking customer you wouldn’t want to meet in a dark alleyway, but its flesh is so tender it melts in the mouth. No self-respecting restaurateur would dream of buying frozen peto, so if you see it chalked up on a blackboard, it’s a dead cert — a not-long-dead cert — that it was caught just a few hours before. That was the case in La Vieja Pangorda (the Fat Old Lady) restaurant in the small port of La Restinga, where I was introduced to this fearsome fish. La Vieja Pangorda is a few metres up a side street just off the waterfront, so it isn’t hard to find — and what a find it turned out to be. A hearty lunch of seafood soup followed by peto with potatoes and salad then ice cream for dessert plus lots of beer and a coffee cost only €22. If you’re planning a visit, hurry up, because it’s probably pricing itself out of business. El Hierro is famed for its varied and wonderful landscapes. If your idea of a good time involves hiking, climbing, cycling, surfing, windsurfing, kayaking or scuba diving (I’m exhausted just writing that) you’ll be spoilt for choice. 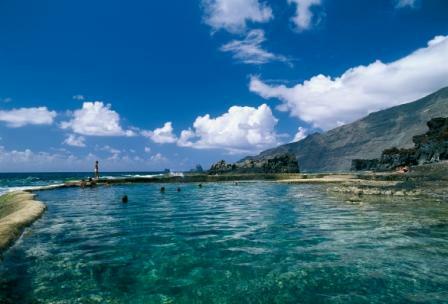 Nobody goes there for sunbathing, which is available in abundance on neighbouring Tenerife, a half-hour island-hopper flight away. Rather, visitors to El Hierro are active — like the underwater fissure a couple of kilometres off La Restinga that erupted in the summer of 2011. For several weeks the sea bubbled and boiled like a big pot of porridge while the massive crack 900 metres below the waves spewed lava. As the unseen underwater volcanic cone grew, finally stopping 100 metres short of the surface, it sent flames and clouds of smoke billowing from the water. Language teacher and part-time guide Peter Andermann, who’s lived on El Hierro for the past six years, said the fiery explosions were like “sneezes from hell”. The fissuremen — I mean, fishermen — who couldn’t leave port to earn a living weren’t at all happy, but a waiter in La Vieja Pangorda told me the restaurant saved a fortune on gas and electricity when the peto shot out of the sea ready-cooked. Fortunately, the subterranean volcano has gone to sleep, which is good news for Peter and his wife as they’re building a house on the island they call home. If any submarine skippers at a loose end are reading this, there’s a job waiting to be filled in La Restinga. A few summers ago, the tourism authorities thought it would be a good idea to buy a mini submarine so tourists could have a look at the marine life beneath the waves. It was a hefty investment, but such underwater excursions are a big attraction in other holiday destinations, so the cheque was sent and the vessel delivered. Unfortunately, submarine skippers are few and far between in El Hierro (population 10,000), so until one is found it will continue to sit unlaunched and idle under a tarpaulin on the quayside, thus depriving would-be Jacques Cousteaus of the chance to sing “We all live in a Hierro submarine”. The absence of light pollution — and around 280 cloudless nights a year — attract amateur and professional astronomers from all over the world. 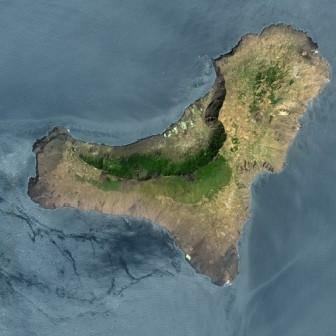 El Hierro’s location, and that of the island group in general, in the Atlantic off Western Sahara, means much of the northern hemisphere’s and many of the southern hemisphere’s constellations — including the first signs of the Southern Cross — can be seen year-round. The last time I saw so many stars was during my short-lived soccer career when I rose majestically for an in-swinging corner kick with the sun in my eyes and headed the goalpost instead of the ball. On a good night, the inky sky is a riot of twinkling pin pricks, like something Jackson Pollock in one of his angrier moods might have produced with a black canvas and a bucket of white emulsion. If you want to see shooting stars, this is the place to go. Birders flock to El Hierro too — they’ll be jealous to know that I watched as an osprey streaked from on high like a missile to pluck its lunch from the sea. As it made to fly off with a fat fish writhing in its talons, a pair of pesky ravens tried to intervene. They were on a hiding to nothing. With a couple of flaps of its huge wings, the osprey brushed them aside and shot off into the sun. I also saw several kestrels take lizards that had been caught dozily unaware while basking on rocks. One strike was so close to where I stood that I jumped back, but my surprise was nothing compared with the lizard’s. For watchers of larger wildlife, whales are the biggest draw in more ways than one. What these gentle giants lack in the show-off antics of the dolphins that often accompany them, they more than make up for in gracefulness. If you’re lucky you can spy them from the shore, but if you’re wise you’ll pay a few euro to hop on a boat and see them up close. With little traffic and no industries pumping smoke and fumes into the atmosphere, the air on El Hierro is as fresh as the peto on the blackboard. It’s thinner up in the 1,000-metre-plus mountains, which makes the views from the observation terraces even more breathtaking. One of the climatic quirks of being so high is that the atmosphere up there in the afternoon is warmer than it is at sea level, so you’re often above the clouds. It’s weird, but it makes for some fabulous photos, which could be passed off as having been taken from a plane. You’ll go home with pictures of rust-red and black lava fields, volcanoes and vast expanses of lush green forests clinging to the slopes. Even weirder are the fire-resistant Canary Pines, appropriately called Fenix Canarias in Latin, which grow only at altitude. Like the mythical Phoenix that rose from the flames and from which they get their name, they refuse to burn, even in the fiercest of forest fires, so any arsonists seeking their 15 minutes of fame are sparking up the wrong trees. Because of the lack of precipitation, the pines get their water from passing clouds which then drips from the needles and is absorbed by the roots. I thought Peter the guide was joking when he said a drinks firm will soon begin bottling these drips for sale as “Horizontal Rain”, but it’s true. The towering, tough guy pines are nothing much to look at — they’re really just telegraph poles with their clothes on — but in the west of El Hierro, the remnants of the ancient juniper forest are something to behold. The few feeble-looking trees (sabin juniper), some of them more than 500 years old, are gnarled and bowed, and their wind-lashed and warped trunks are bent double. Their greenery — or, more accurately, brownery — when nudged awake by a breeze sweeps the dry stony soil that surrounds them like a skivvy with a broom, and they suddenly and briefly look alive. The remarkable thing is, they are alive. Sap still runs — well, probably plods, coughing and spluttering — through their sun-bleached boughs. A car, or a bike if you have the legs of a Tour de France rider, is a must for making the most of a visit to El Hierro, which is served by daily flights (www.bintercanarias.com) from Tenerife, Gran Canaria and La Palma and ferries (www.fredolsen.com) from Tenerife. Book your vehicle — well ahead in the summer — for collection at the port of La Estaca or the airport (www.gomera-individual.com). Accommodation ranges from simple pensiones to rural guesthouses and hotels, including the 4-star parador, so there’s something to suit every pocket. Keep in mind, though, that because so much of your time will be spent out and about exploring, there’s no great need to go above mid-budget B&B. There are 1,500 guest beds on the island, and demand for them at Easter and in summer is great, so again, book well ahead. 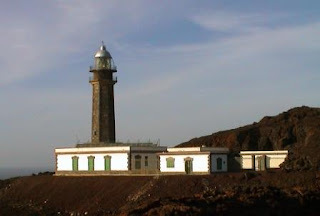 Close to the 3-star Hotel Balneario Pozo de la Salud where I stayed is the Orchilla lighthouse, which lies in the shadow of a small extinct volcano (they come in all sizes, from hillock to mountain). Until the Americas were discovered, the spit of land on which the lighthouse sits was considered to be the westernmost end of the known world. What lay beyond, if anything, was a mystery, though dragons were often mentioned. In 1634 it was officially set as the Zero Meridian (15 centuries after that old Greek know-all Ptolemy set it unofficially), which it remained for 250 years until that classification passed to Greenwich. Today you can stand beneath the lighthouse and look west, knowing that a long way over the horizon lies Florida. Before you, visitors to Miami are lying on sunbeds, tucking into hotdogs and being scared witless on the theme park rides. 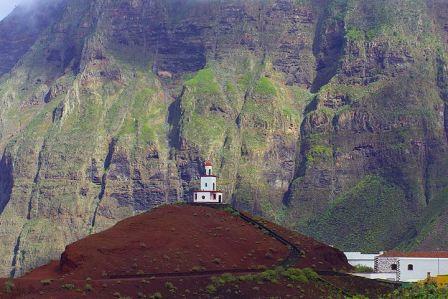 Behind you, visitors to El Hierro are sitting outside La Vieja Pangorda, tucking into a big plate of peto while a maid who was scared witless by a dusty likeness of me on a bedsheet is lying on a counsellor’s couch. 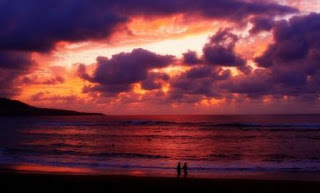 I left an impression on the linen, but the Canary Islands’ Magnificent Seventh left an even bigger impression on me. Aer Lingus flies four times a week from Dublin and once a week from Cork to Tenerife, and once a week from Dublin and Cork to Gran Canaria (www.aerlingus.com). Hotel Balneario El Pozo de la Salud, Sabinosa (www.elhierrohotels.com).